The switching supply is powered with IGBT transmitters and is further controlled by UC3845 circuit. The mains voltage goes straight through the EMC filter which is further checked and filtered on C4 capacitor. The relay coil and fan, taken from AT or ATX power supply is powered from 12V. The power is obtained via the resistor from 17V auxiliary supply. 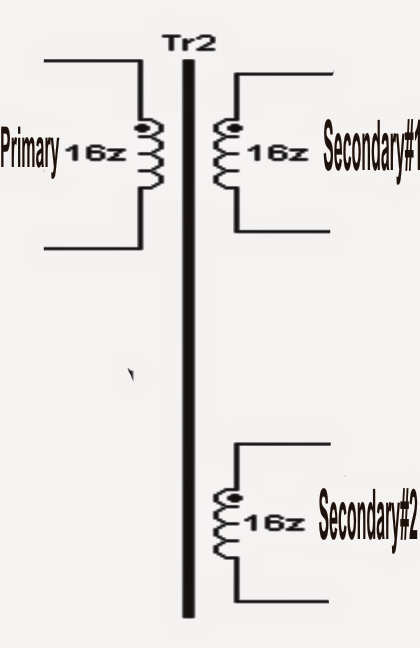 It is ideal to select R1 so that the voltage at the fan and the relay coil limits to 12V. The auxiliary supply on the other hand uses TNY267 circuit and R27 facilitates protection from under-voltage of auxiliary power. The power will not turn on if the current is less than 230V. The UC3845 control circuit results to 47% duty cycle (Max.) with the output frequency of 50 kHz. The circuit is further powered with the help of the zener diode, which actually helps to reduce the supply voltage and even helps to shift the UVLO threshold of lower 7.9V and upper 8.5V to 13.5V and 14.1V respectively. The source initiates the power and starts working on 14.1V. It never goes below 13.5V and further helps to protect IGBT from desaturation. However, the original threshold of UC3845 should to set as low as possible. Also, please remember to place diodes D5, D5 ', D6, D6', D7, D7 ', transistors T5 and T6 on heat sink along with the bridge. Care should be taken to place snubbers R22 + D8 + C14, capacitors C15 and diodes D7 close to IGBT. 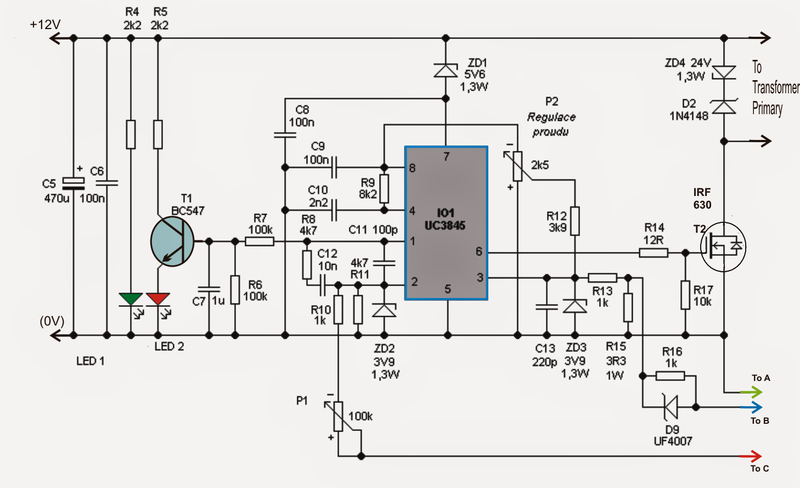 The LED1 signals the operation of the supply and LED2 signals the error or the current mode. 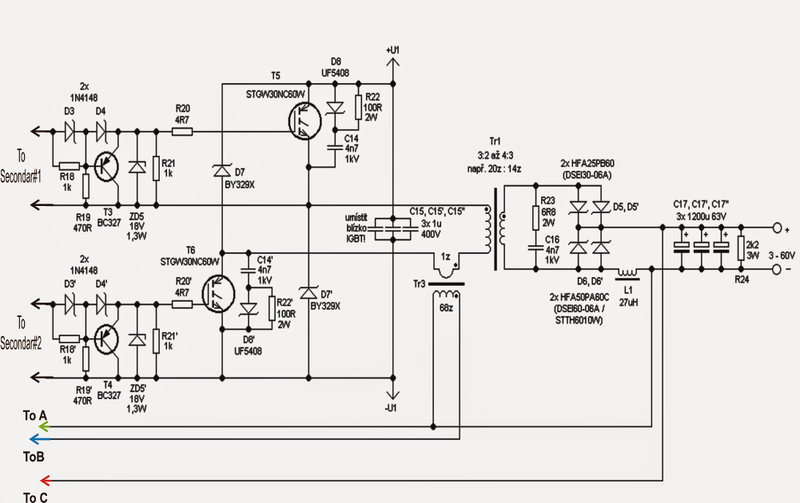 0 Response to "Adjustable 0-100V 50 Amp SMPS Circuit Diagram"